August | 2014 | Loch Lomond Livestock Ltd.
We came across an interesting discovery lately. It happened by accident one night when the sheep decided to bust through the electric fence keeping them in their pasture and out of our organic flax crop. I arrived on the scene in the morning to find, not surprising, a flock of contented sheep and, surprising, an essentially untouched flax crop. 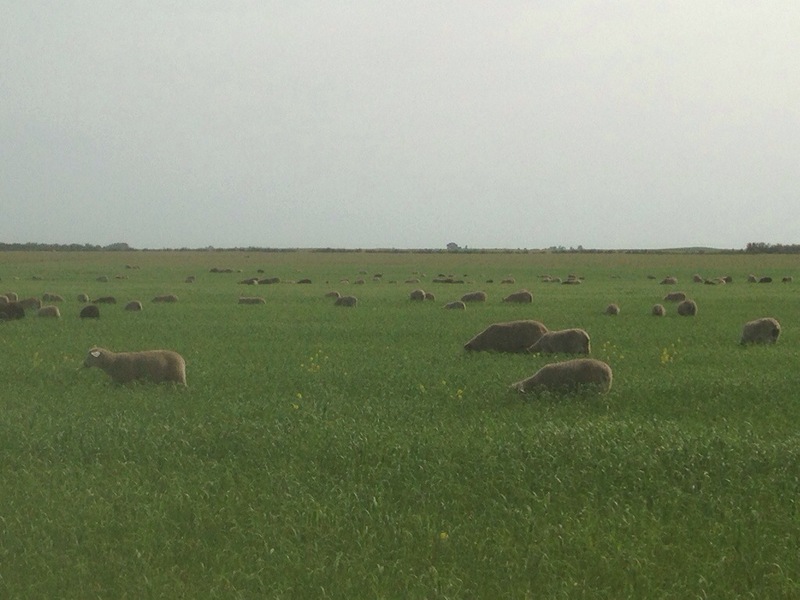 The sheep had spent their time selecting volunteer oats out of the crop. So, we decided to use this ‘biological herbicide’ to our advantage! Sheep have this amazing ability to use their lips to sort through what they are eating. 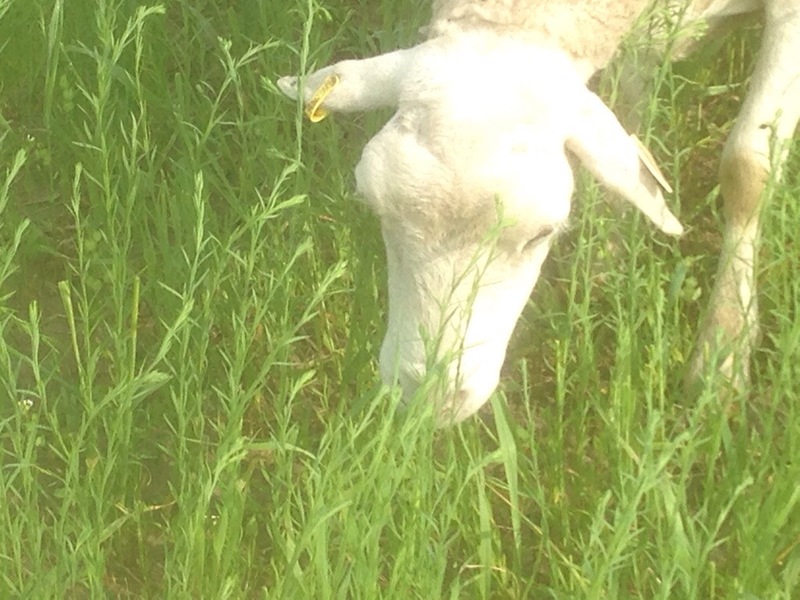 I watched a ewe the other day take a mouthful and push the flax plants back out before biting off the oats. The sheep grazed on the flax crop for about 5 days, and there were very few flax plants actually eaten. There was some damage in a few places where the sheep rested, but this is likely offset by the advantage of having reduced competition for the crop as well as the weight gained by the lambs from the excellent feed source. This is a great example of how organic cropping works best intertwined with livestock. It also makes you think about how we can quick people are to use chemicals to control weeds, when in some cases there might be another option!